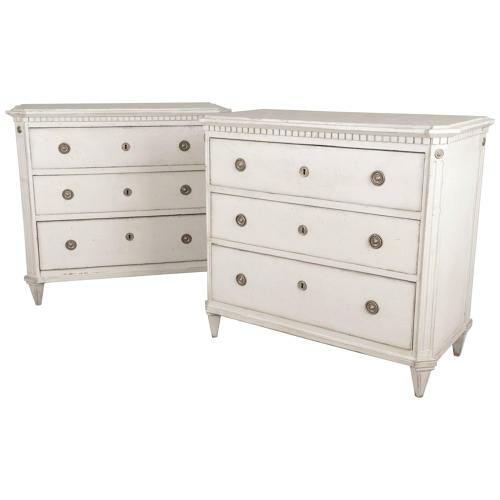 A very elegant pair of Swedish late 19th century Gustavian chests of drawers. Beautiful faux- marble painted tops. Repainted, some of the carved ornaments and possibly hardware of a later date. Beautiful flanking the fireplace or as larger bedside cabinets.